The final frontier will be conquered by way of the west. A Colorado-based company has landed yet another contract to explore the heavens. CENTENNIAL, Colo. -- The final frontier will be conquered by way of the West. A Colorado-based company has landed yet another contract to explore the heavens. A recent study shows the space industry provides a rocket-fueled injection of $15 billion and 190,000 jobs into Colorado's economy. For comparison's sake, that's nearly half of what oil and gas does for our state and $3 billion more than CU's campuses and hospitals. A NASA mission is set to launch in 2021 from Cape Canaveral, Florida. Her name is Lucy and she's pure Colorado genius. Hal Levison is the lead scientist for Lucy at the Southwest Research Institute in Boulder. "Scientists all over the country put in proposals to NASA to build missions," said Levison. The mission is to explore Trojan asteroids in Jupiter's orbit that may have clues about the creation of the solar system. "We're gonna be using this almost as a paleontologist would use a fossil to try and figure out what happened," said Levison. Lockheed Martin will build the spacecraft in Colorado. The rocket company, United Launch Alliance, is based in Colorado too and on launch day engineers will be in a control room in Centennial, making sure everything runs smoothly. "On the day of launch, at Cape Canaveral, they'll release a series of weather balloons that measure wind speed and sheer,” said Scott Messer with United Launch Alliance. 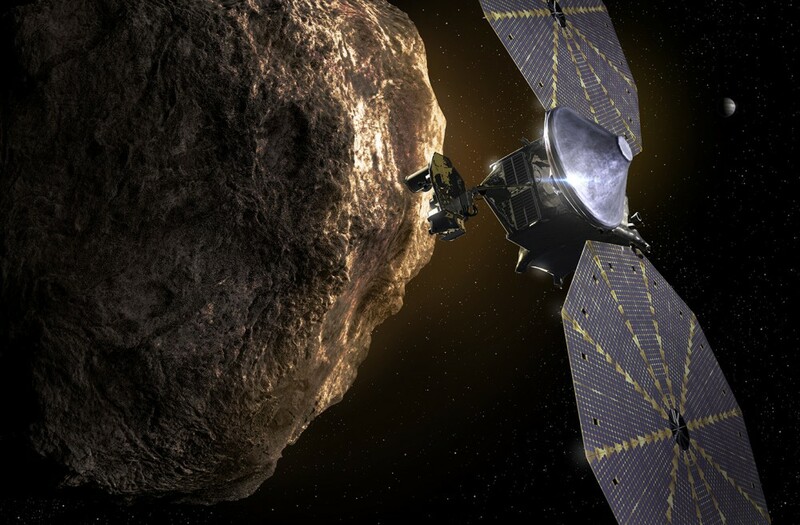 It will take six years for the spacecraft to reach the first asteroid, according to Levison. And in total, the mission will last 12 years. And a crew from our Colorado will be guiding the spacecraft the entire time. "I don't think many people in Colorado understand that this is really the center of this kind of activity," said Levison.